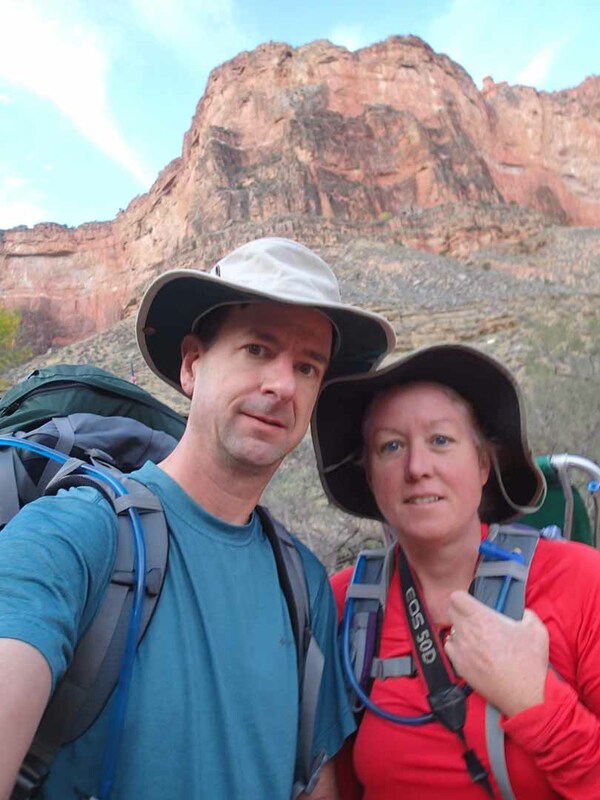 Eileen and I just got back from a brief hiking vacation at the Grand Canyon. 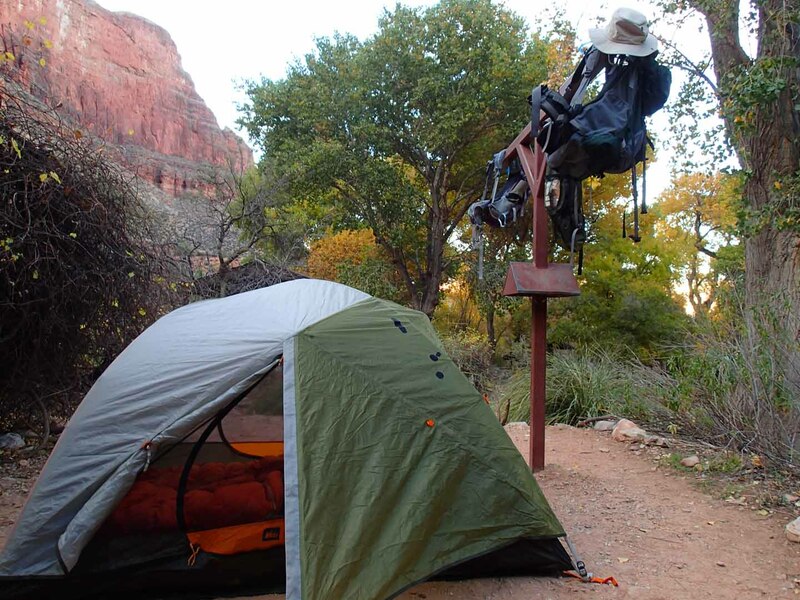 We stayed at El Tovar, that historic lodge perched on the edge of the South Rim, every night except the one where we camped half way down canyon at Indian Garden. 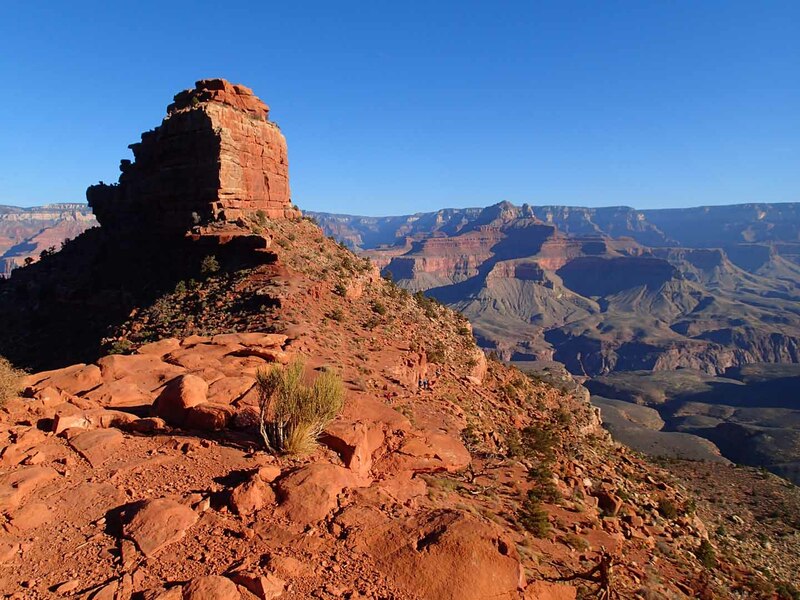 We wanted to have the chance to hike into the canyon and overnight there without having to go all the way down to Phantom Ranch or Bright Angel Campground. We’d done that before. 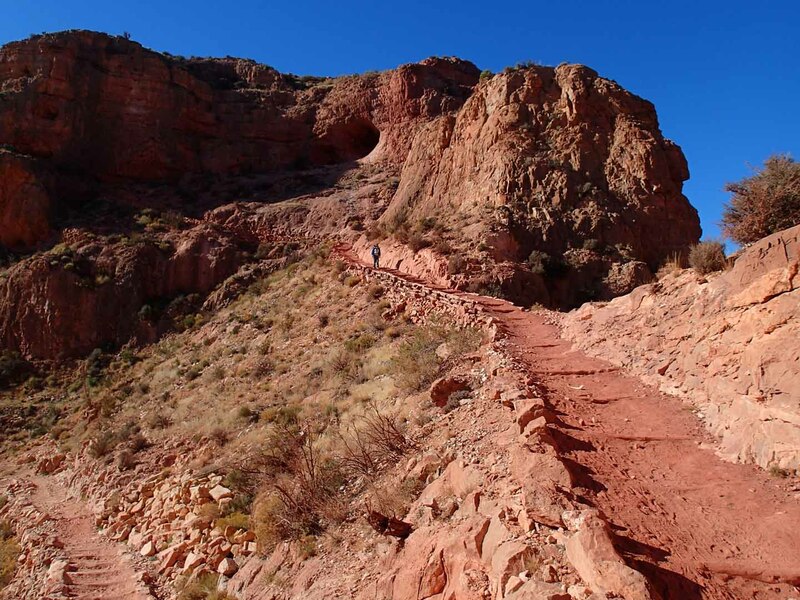 This itinerary would take us onto the less traveled Tonto Trail, and offer up a different perspective of the Canyon. It would also be substantially easier on our knees. 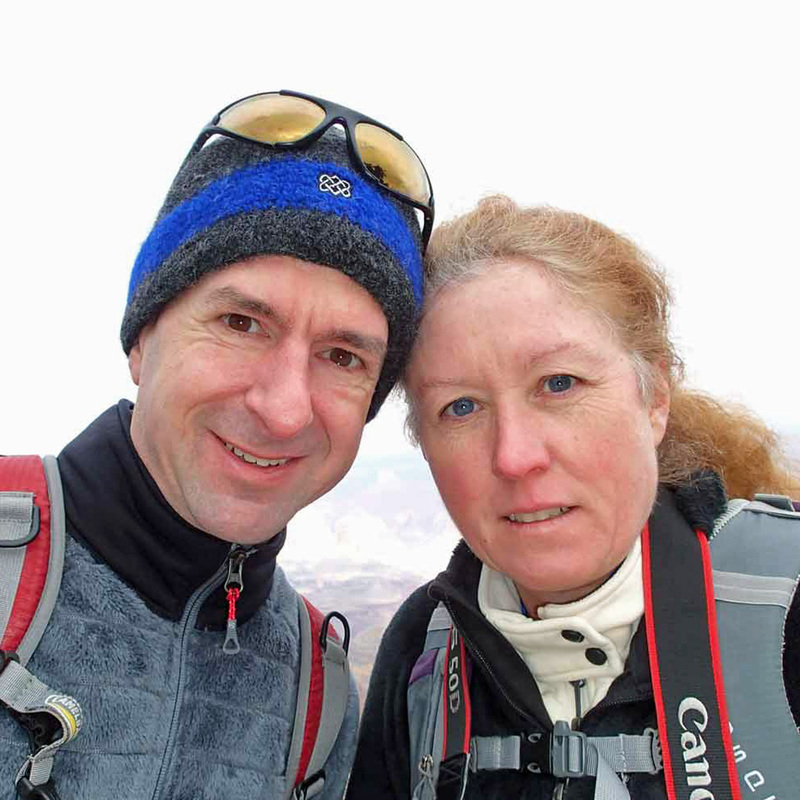 We spent the first day there acclimatizing and walking along the South Rim. 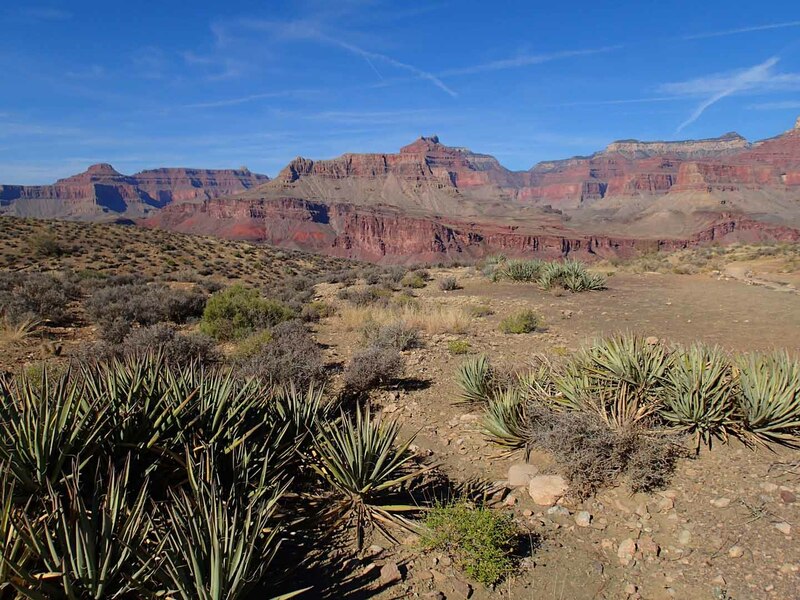 We hiked From the South Kaibab Trailhead to Mather Point and then later that same day from Hermit’s Rest to Pima Point. It was pretty chilly in the mornings along the Rim. The weather was crisp and refreshing, though and the season meant there were very few people in the Park, which was also nice. Walking towards Mather Point along the South Rim. Sunset from Hermit’s Rest, along the South Rim. 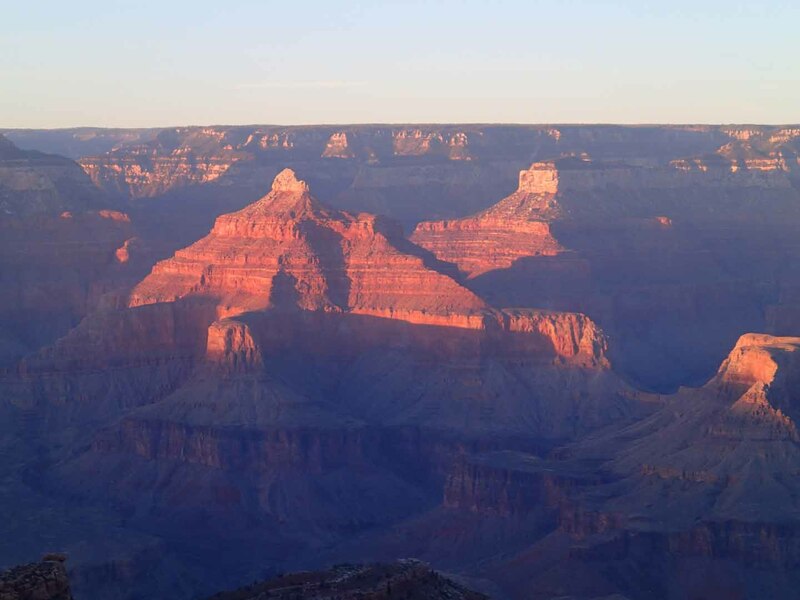 The next morning, we took the first bus at sunrise–the Hiker’s Express–to the South Kaibab Trailhead. 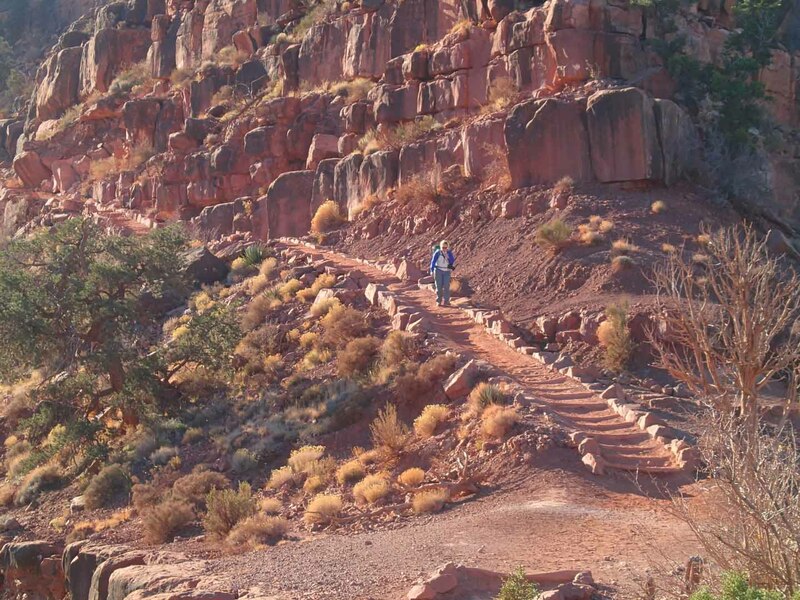 Here, we began our 4.5 mile hike down the trail to “The Tipoff” and the intersection with the Tonto Trail. 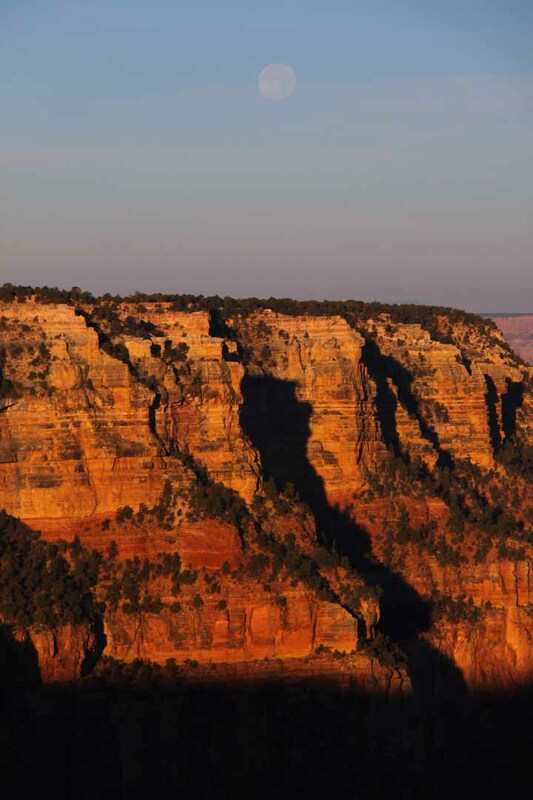 Moonset at Sunrise along the South Kaibab Trail. 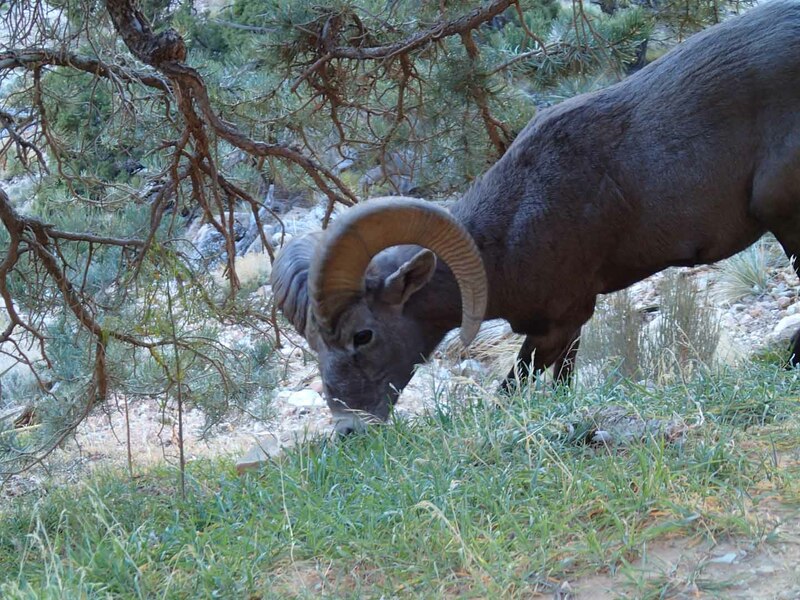 Bighorn Sheep along the South Kaibab Trail. 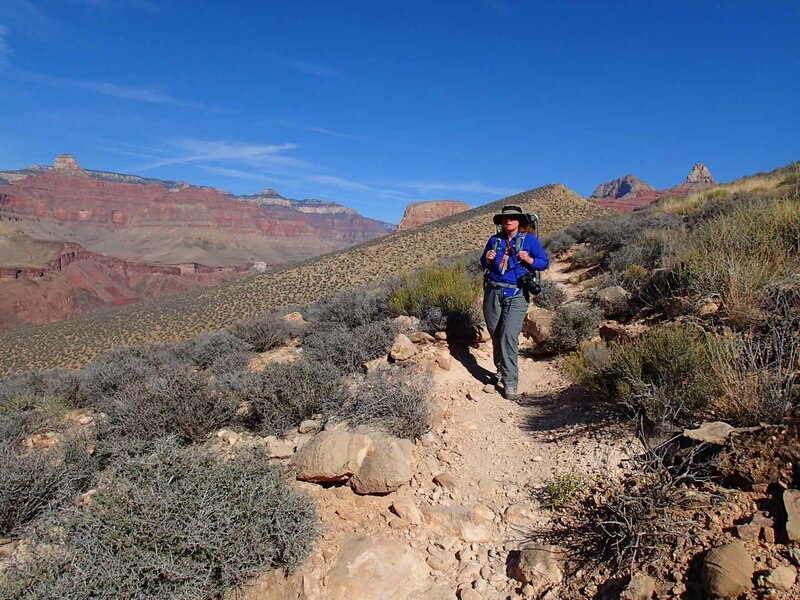 Eileen approaching Cedar Point along the South Kaibab Trail. 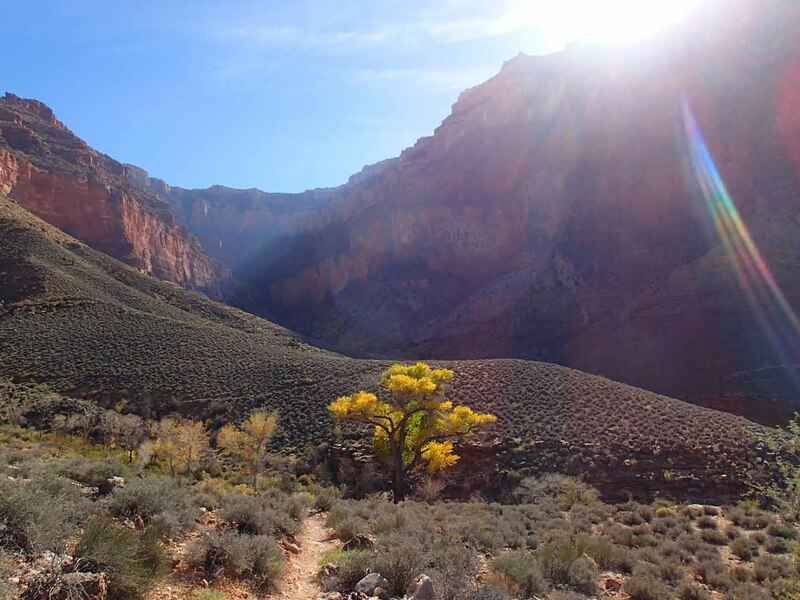 Cedar Point, South Kaibab Trail. Along the way down, we met several groups hiking to the river. Our destination, however, was the Indian Garden campground. 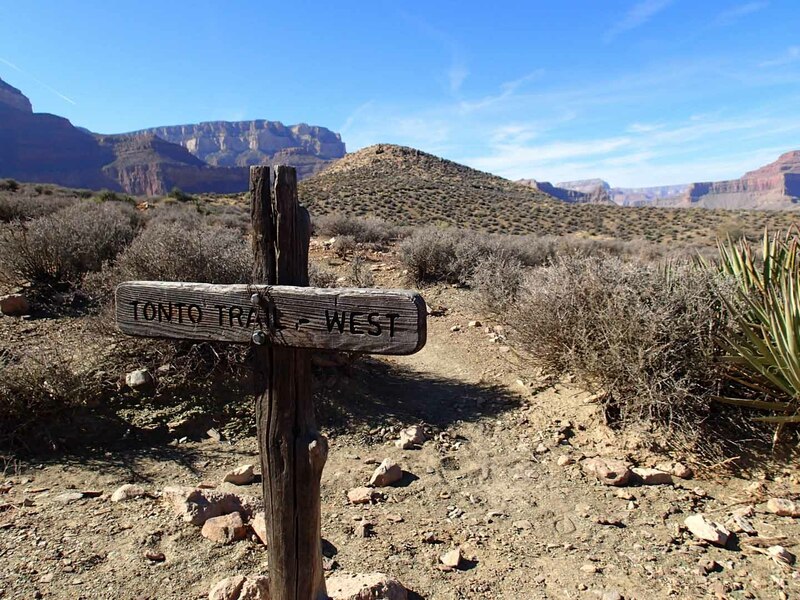 So, at the Tonto Trail we left the South Kaibab and headed west. 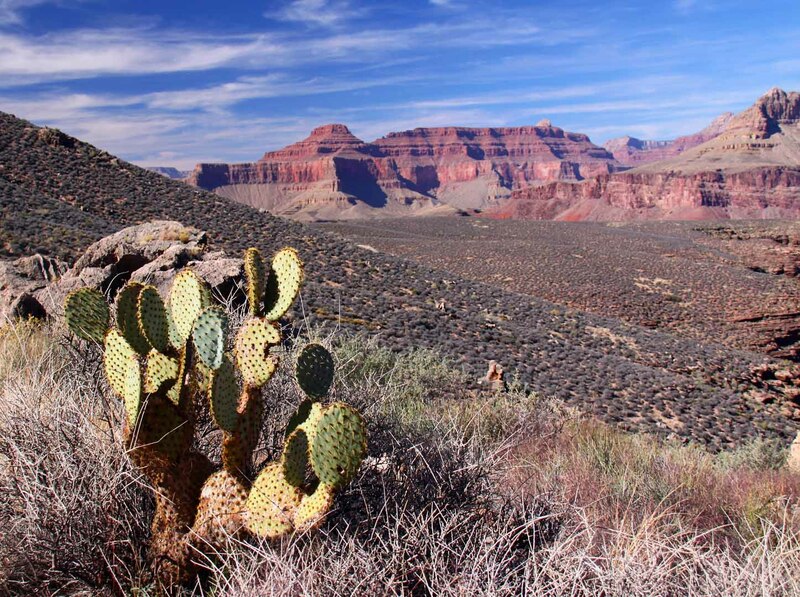 Along the Tonto Trail, it’s an additional 4.4 miles to the Indian Garden campground. The trail offered up great views with canyon both above and below us. We encountered no one along our entire course on the Tonto. Eileen along the Tonto Trail. Blazing cottonwood along the Tonto Trail. Our camp at Indian Garden. The weather at the campground was very comfortable. It didn’t get below 45 degrees all night. 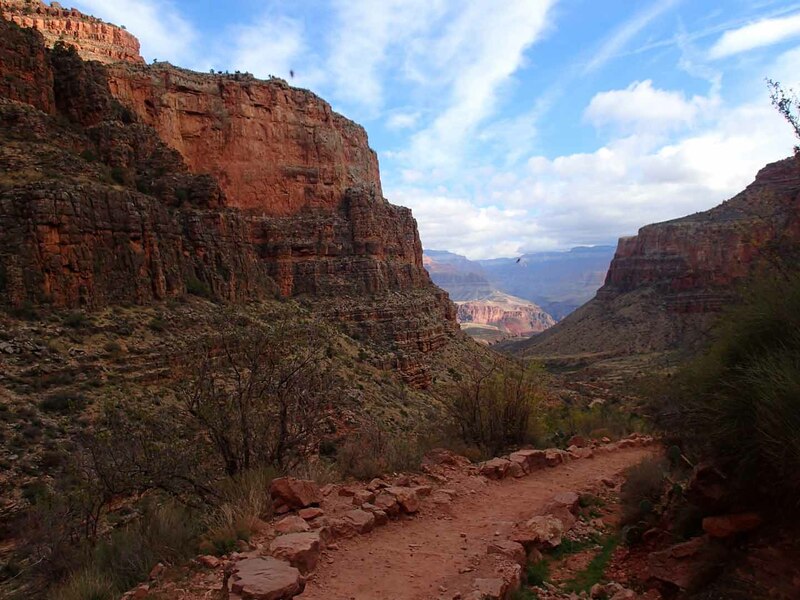 Heading up Bright Angel Trail the next morning. 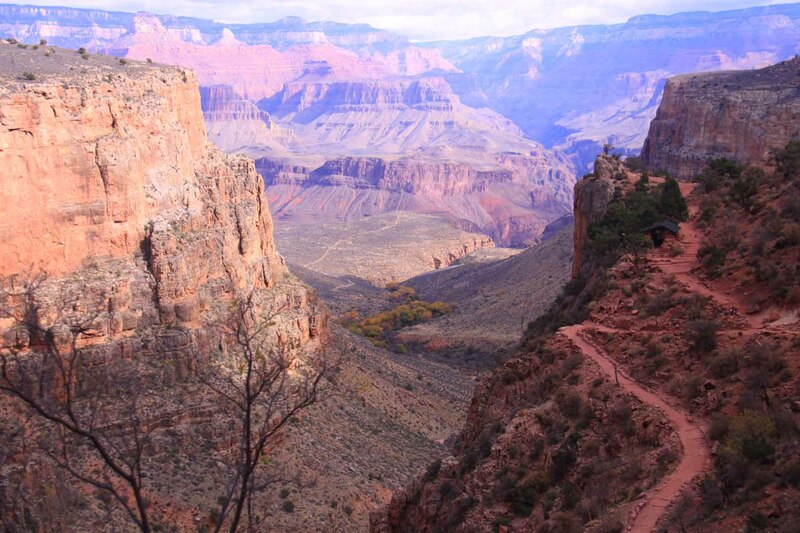 Looking down the Bright Angel Trail. It was very buggy most of the way up Bright Angel. 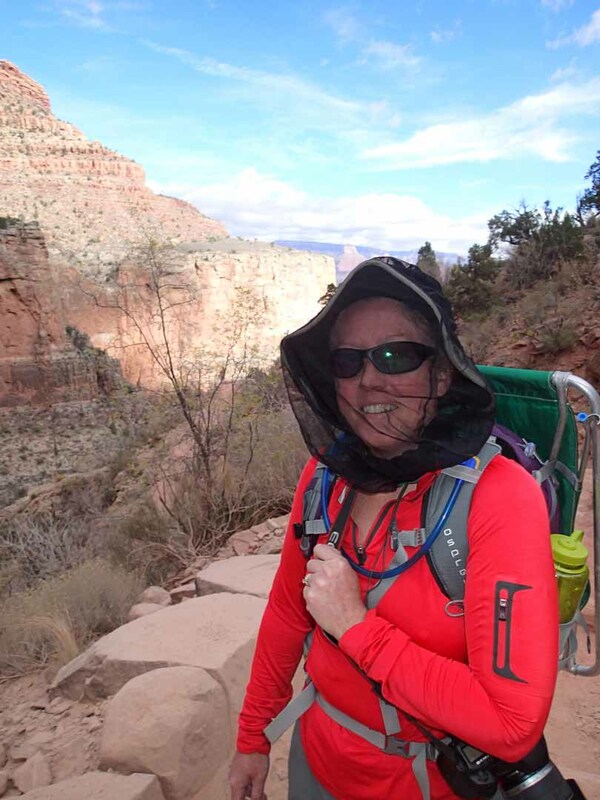 Eileen was the only person on the entire trail fortunate enough to have a husband who thought to outfit her with mosquito netting. 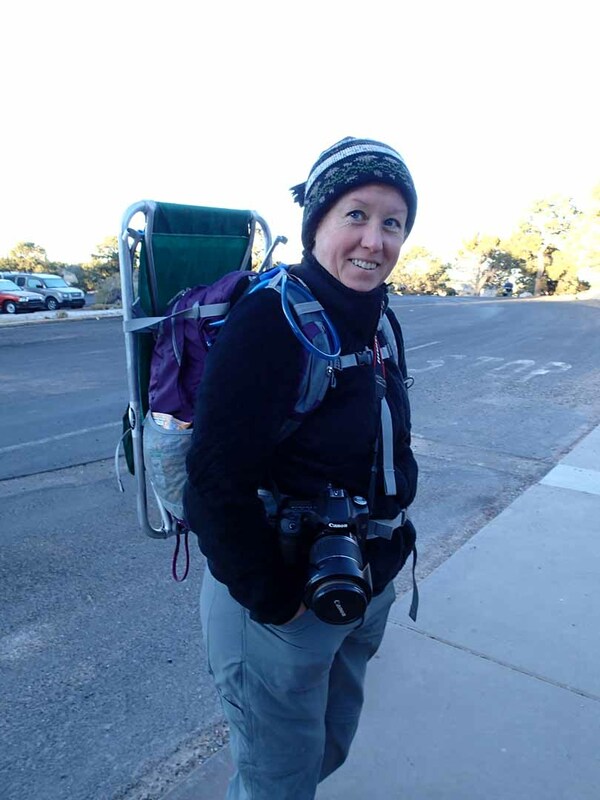 The other hiker’s misery was only compounded when seeing Eileen in her bug-free Nirvana. Indian Garden view (those cottonwoods), and 3-mile resthouse from Bright Angel Trail. 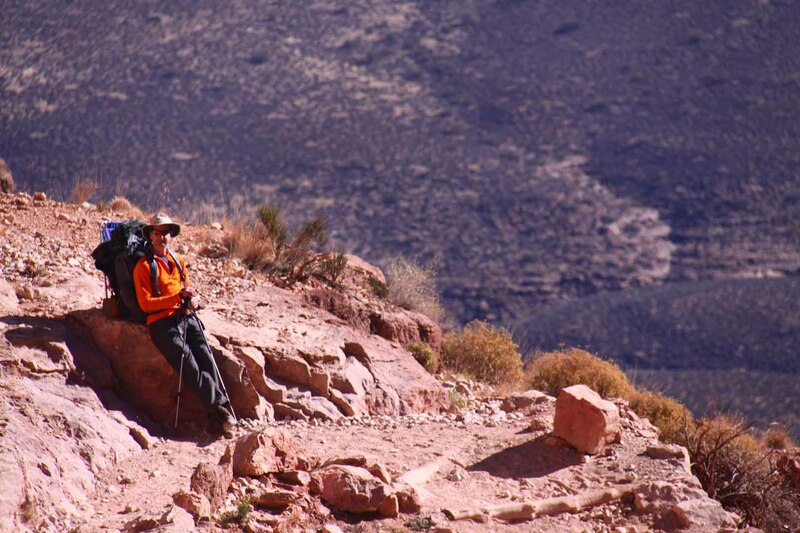 Me, near the top of the Bright Angel Trail. 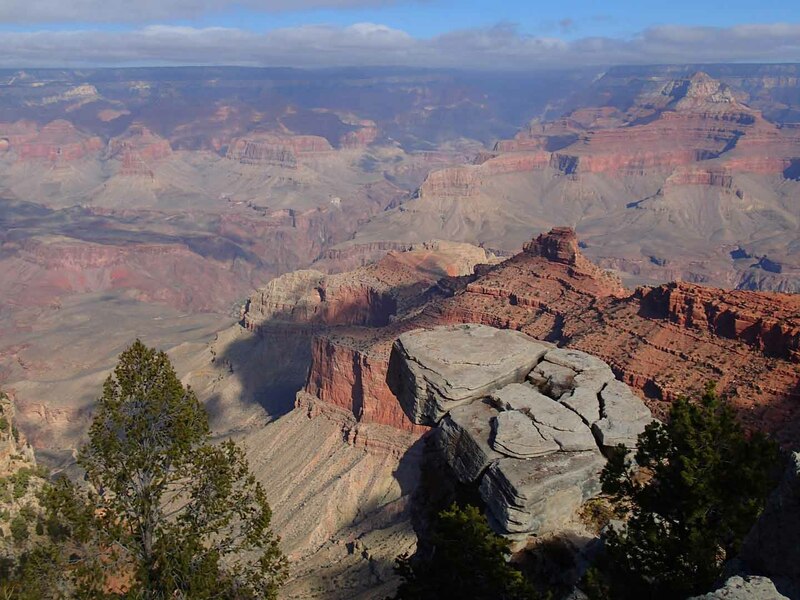 From Indian Garden, it was 4.6 miles up Bright Angel to the South Rim. 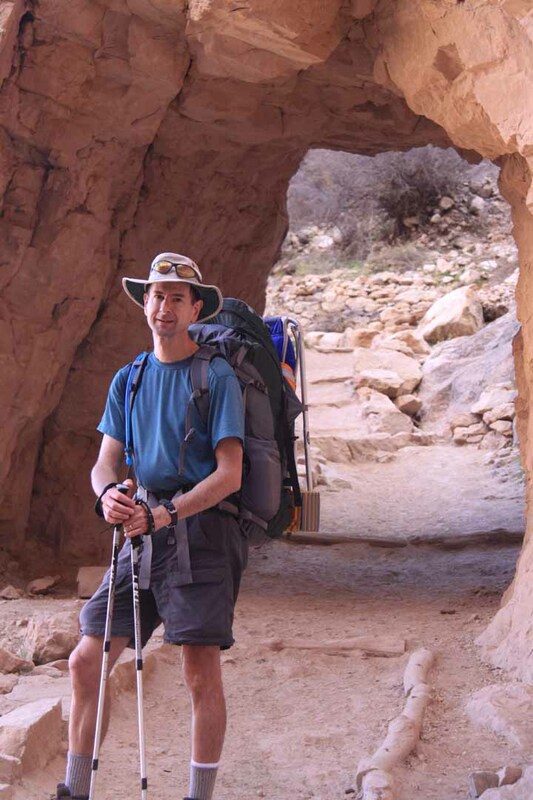 And even though it was chilly near the top, the effort of gaining 3,060 feet with a full backpack allowed me to do this comfortably in short sleeves and shorts. 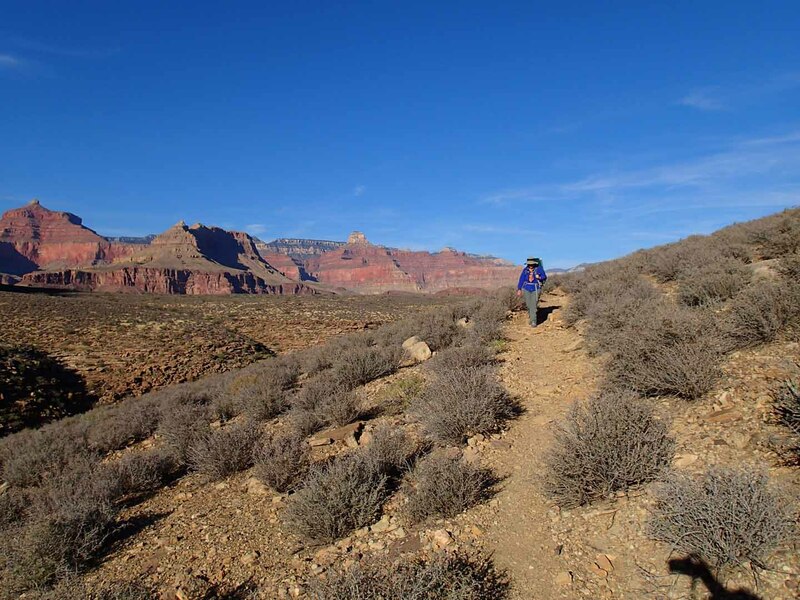 This entry was posted in Backpacking, hiking, Round 9, Travel and tagged Bright Angel Trail, El Tovar, Grand Canyon, Indian Garden Campground, South Kaibab Trail, Tonto Trail, Vacation. Bookmark the permalink.